A scholarship for a current undergraduate and postgraduate coursework students majoring in marketing. $10,000 to cover the cost of educational expenses in your final year of study. You will also have the opportunity of being mentored by an industry professional throughout the remainder of your study program. half of the payment in Semester 2, if you satisfy the conditions of award. a double degree in business. Integrated marketing communication (IMC) majors are not eligible to apply. demonstrate academic merit with a course grade point average (GPA) of 5.5 or higher. Email your written application by the due date to the Business School Scholarships Coordinator. Make the subject 'Su Mon Wong Scholarship for Excellence in Marketing'. a willingness to mentor QUT marketing students after you have completed your degree and gained real world experience in your career. Applicants must be available to complete a second stage of selection immediately after written applications close. A link to a video assessment will be sent to your QUT student email account no later than 12pm on 20 November, 2018. The link will close at 11.59pm on 21 November 2018. Shortlisting will be based on your written application and short video assessment. If you are shortlisted we'll invite you to attend an interview with the selection panel, scheduled for the afternoon of Monday 3rd December, 2018. Whether you're successful or not, we'll advise you in writing of the outcome of your application. Read the terms and conditions (PDF file, 181.7 KB) for this scholarship. The Su Mon Wong Scholarship for Excellence in Marketing is named in honour of long-term former QUT marketing lecturer, Su Mon Wong, who served the Faculty of Business, students and alumni for 34 years before retiring at the end of 2009. The Su Mon Wong Scholarship Program has been established to award an annual Su Mon Wong Scholarship to an outstanding marketing student in their final year of study. 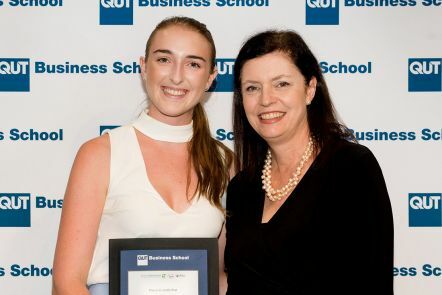 Each scholarship recipient will demonstrate the values embodied by Su Mon Wong throughout his QUT career: leadership, innovation and a commitment to excellence in marketing and business practice. This scholarship is proudly supported by philanthropic donors to the Su Mon Wong Endowment, the QUT Business School and QUT.